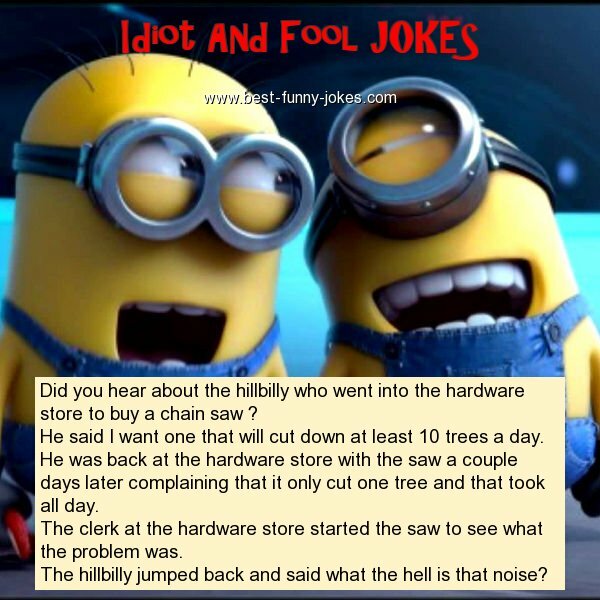 Did you hear about the hillbilly who went into the hardware store to buy a chain saw ? He said I want one that will cut down at least 10 trees a day. He was back at the hardware store with the saw a couple days later complaining that it only cut one tree and that took all day. The clerk at the hardware store started the saw to see what the problem was. The hillbilly jumped back and said what the hell is that noise?